5-inch phone got you down? Wish you had an even bigger screen? Chances are you don't but don't tell Sony that as they have announced their shot at the surprising phablet segment of the smartphone market with the Sony Xperia Z Ultra. 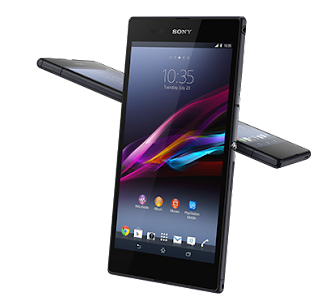 Like the Xperia Z it's inspired from, the Z Ultra is a super thin, water and dust resistant, yet powerful phone but in a HUGE form factor. While Samsung is tiptoeing into the 6+ inch phablet range with the midrange specs on the Galaxy Mega, Sony isn't holding as much back packing a 1080p 6.4” Full HD TRILUMINOS Display, a blazing 2.2GHz Quad-Core Qualcomm Snapdragon 800, 4G LTE capabilities, 3000mAh battery and Stylus input. What is odd is that Sony also had some interesting omissions with the camera is downgraded to a 8MP sensor and it lacks any flash whatsoever. No word on Canadian availability, but knowing Sony's presence in Canada we wouldn't be surprised to see this gargantuan phone in Canada sooner or later.